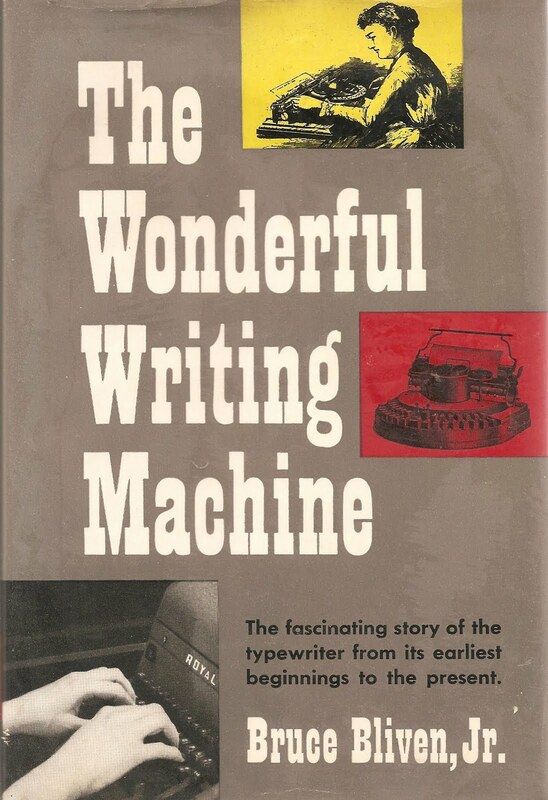 Typewriter history was once sadly short of basic detail on Edward Bernard Hess - that is, until I posted this story. Happily, a Darryl W.Bridson found it and promptly provided me with the vital details I needed to flesh out Hess's life. Images here of Ed B.Hess and his cohort Lewis Cary Myers are from Darryl's page. Back to Hess (above). 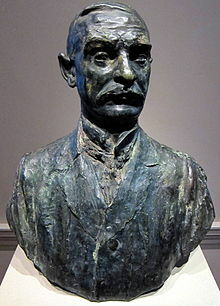 He was born in Jefferson County, Kentucky, on September 13, 1857, to Bernard and Louisa (nee Conrad) Hess, one of their nine children. Hess became a partner in his father's business, Hess, Mayer and Co, a large, prosperous wholesale furnishing goods company in Lousiville, Kentucky. The store, which was five storeys high, sold cloaks, shirts, hosiery and home furnishings. Previously, Bernard Hess had been a partner in the Bamberger, Bloom and Co, where Ed had also worked. Ed died, aged 83, in January 1941, at his home in Orlando, Florida, where he had lived for many years. 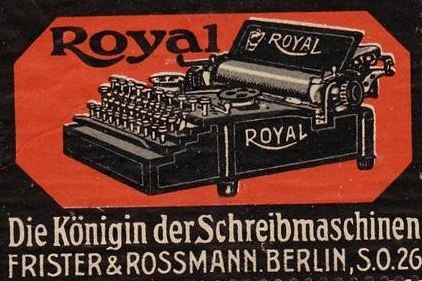 At the time of his death, he was still a vice-president of the Royal Typewriter Company. Until Darryl furnished me with this information, most of what we knew about Hess came from the colourful word picture Bruce Bliven Jnr painted of him in his wonderfully readable The Wonderful Writing Machine, commissioned by the Royal Typewriter Company and published by Random House in 1954 to mark the 50th anniversary of Royal. From this we knew Hess, at the time he established Royal, lived in Bensonhurst, Long Island, and that he was a former silk salesman (perhaps from his Louisville background) who was a “brilliant tinkerer” with mechanical gadgets. He was president of Precision Mechanical Laboratories at 125 White Street, Lower Manhattan. Bliven described Hess as “tall and built along the lines of a 50-gallon oil drum". 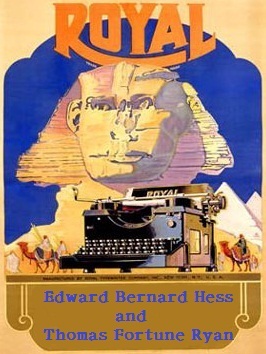 The author said Hess had “a total-recall memory, and a preference for recalling Shakespeare, among authors, and grand opera, among musical forms. Hess boasted that if anyone started a Shakespeare quotation or an operatic aria, he could finish it.” And Bliven said Hess "appreciated silk shirting and fine suiting, especially when the colours were loud” – he liked to wear a hound’s-tooth checked suit with a pepperment–stick striped shirt to work. He had as many as eight pet dogs, black-and-tans that were “miniature lap-dogs” and which he took to work. 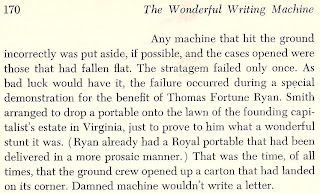 In terms of what’s important to typewriter history, however, the key brass tack missing from the Hess story is how and exactly when he meet Thomas Fortune Ryan. 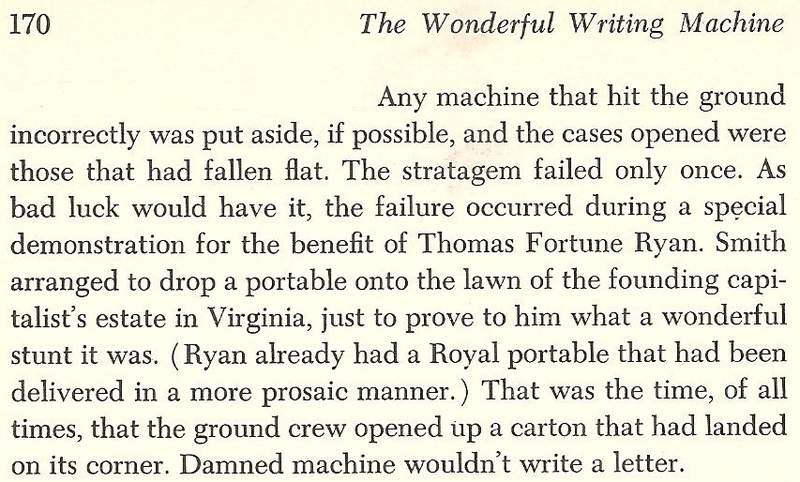 Because, as all typewriter historians agree, without Ryan there would be no Royal typewriters. Bliven dismisses the meeting in a few lines: "And [Ryan] didn't say a word to the press when he handed Hess and Meyers [sic] $220,000 and told them to go ahead with the Royal typewriter". That's it, that's all there is. Everything we know about Hess - notwithstanding Bliven’s impression of a “Dedicated Follower of Fashion”, a stylish, well-dressed man with a home on Long Island, eight pet dogs and a taste for high literature and opera – points to a man who didn’t have sufficient ready funds to put his many ideas about improving typewriters into practise. 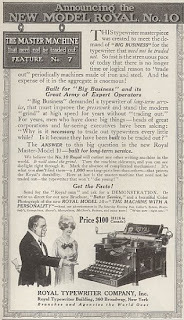 He had the plans and the patents for them (eventually as many as 140 or more), and he had an experienced typewriter design engineer in Lewis C.Myers [not Meyers] as his partner. But he clearly didn’t have the necessary cash to start a typewriter-making company. Let’s face it, Ryan was a Tammany Hall adept. About the time he gave Hess and Myers $220,000 ($5.3 million in today’s money), Ryan might well have had a cool $35 million to play with. It seems Ryan had raised the $35 million in a bond issue, and the funds were misappropriated. Ryan was investigated for corruption in 1908, but a grand jury brought no charges. A biographer wrote, “Some said [the $35 million] was for funding other Ryan operations. But with no hard evidence, Ryan remained untouched.” Maybe, through various “gifts” and investments, the $35 million just got soaked up. 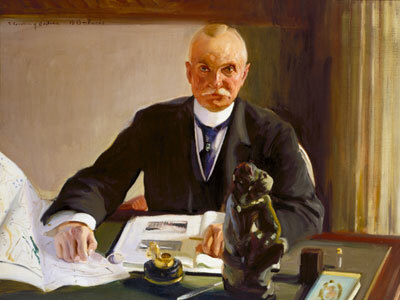 In 1905 Ryan had controversially bought the $400 million Equitable Life Assurance Society, then, faced with much public criticism about his character, in 1909 sold the stock. Meanwhile, Ryan was making millions from coal mines, banks, public utilities and railroads. He had a controlling interest in 30 corporations, including Royal. At the time be bought into Royal, Ryan and his wife, Ida Mary (nee Barry), were funding the construction of churches and schools in his native Virginia, had donated $250,000 to build the Cathedral of the Sacred Heart in Richmond and another $250,000 for the interior. The couple's lifetime contributions to Catholic charities around the country totaled $20 million. 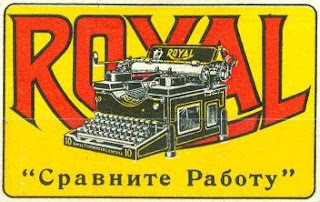 In the case of the Royal Typewriter Company, this was most decidedly a Ryan investment, and he made himself president. Hess, the brains behind the operation (with Myers as his mechanical genius) was merely vice-president of his own company. 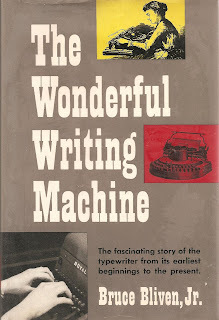 A Condensed History of the Writing Machines says “The technical history of the Royal Typewriter Company is a narrative from its inception to the present day  of the original and subsequent inventions of E.B.Hess …” Yet A Condensed History also seems to indicate Hess was fortunate to be elevated thus: “Hess [is] vice-president, a director and member of the executive committee of the Royal Typewriter Company, a rather unique and advantageous position which is not usually accorded an inventor of a product”. Especially an inventor, one can only assume, whose own financial investment in the enterprise was limited, if there was any significant Hess monetary input at all. Well, if Hess and Myers (below) were the typewriter thinkers and technicians, there is no doubt Ryan provided the more tangible clout behind Royal typewriters. And we do know a lot about Ryan. 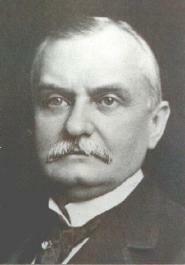 He is described as tobacco and transport magnate who was born on October 17, 1851, near Lovingston, south of Charlottesville in Virginia's Piedmont. 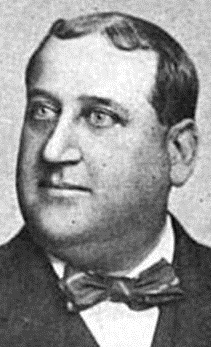 When he died, aged 77, in New York on November 23, 1928, Ryan was the South's wealthiest native son and the nation's 10th wealthiest man. He was buried at Oak Ridge, leaving a fortune of more than $138 million. 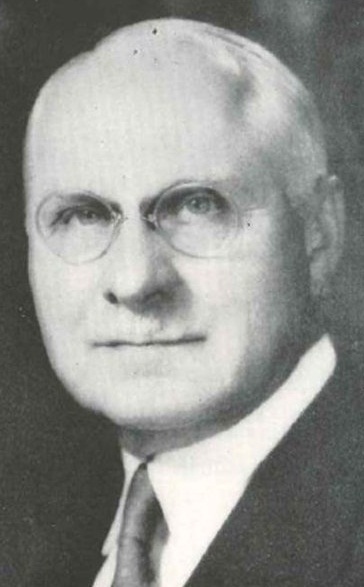 Mentor and business associate William Collins Whitney called him, “the most adroit, suave and noiseless man that American finance has known. If Ryan lives long enough, he'll have all the money in the world." I don’t know about Noiseless – we’ll leave that claim to Wellington Parker Kidder, a typewriter inventor about whom we do know a lot. Edward Bernard Hess was born September 13, 1857 in Jefferson County, Kentucky to Bernard and Louisa (Conrad) Hess - one of nine children to this couple. 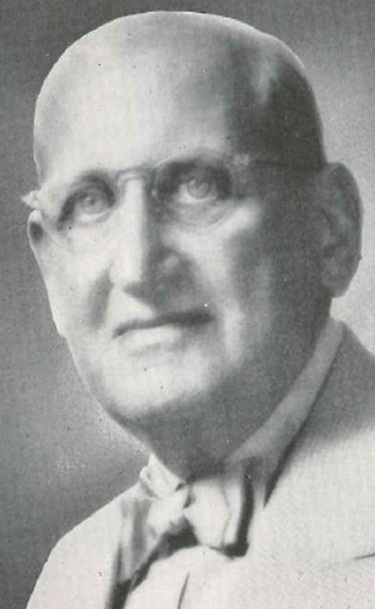 Early in life, Edward Hess was a partner in his father's business, Hess, Mayer & Co., a large prosperous wholesale furnishing goods company in Lousiville, Kentucky. Their store, which was 5 stories tall, sold cloaks, shirts, hosiery, home furnishings, etc. Previously, Bernard Hess was a partner in the Bamberger, Bloom & Company where edward also worked. E. B. Hess died January 1941 at his home in Orlando, Florida where he had lived for many years. 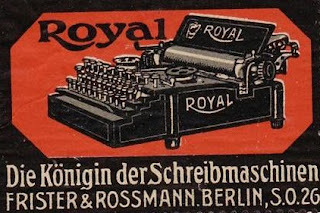 At the time of his death, he was still a vice-president of the Royal Typewriter Company.